April showers bring May flowers, or so they say. In the Pacific Northwest, it seems that the rainshowers are gone already, and flowers abound. 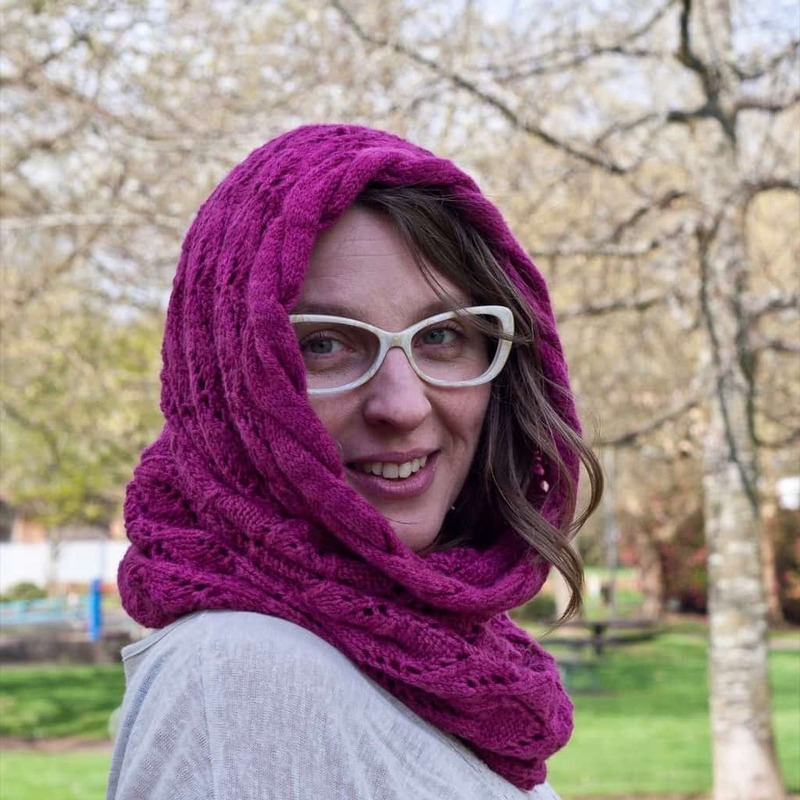 But, just in case those showers do come back, this cowl has got you covered. There are two versions – a single loop that doubles as a snood or hood, and a double loop that can be worn long or against the neck cozily. 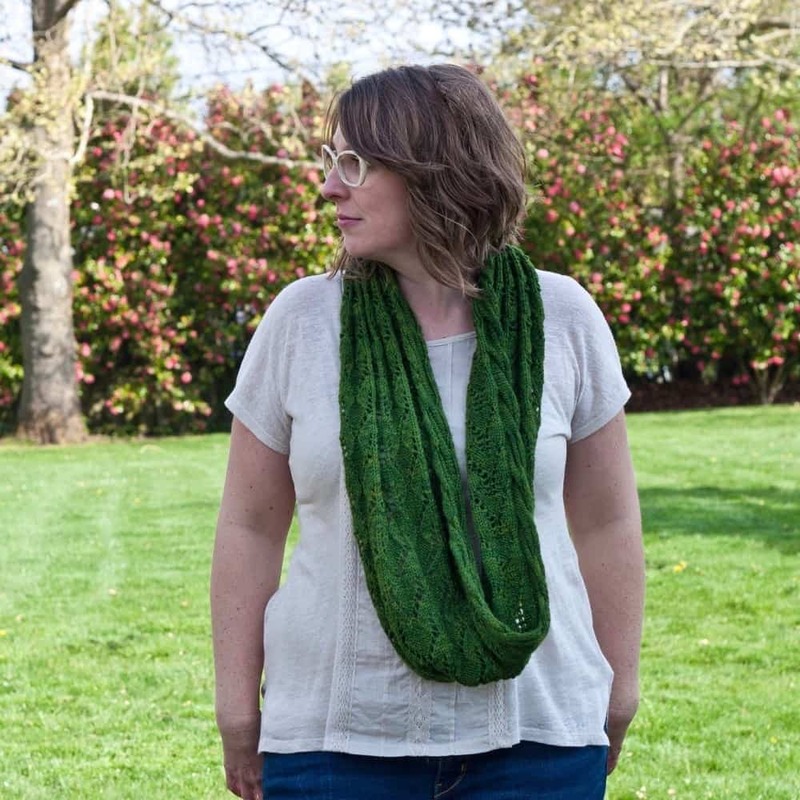 This asymmetrically-laid out cowl is fun to knit – there’s a definite rhythm in the pattern, and the yarn is one of my favorites. So much so that I have enough in my stash for a gaggle of Rainshowers Cowls. Finished Measurements: Single loop (double loop): 24” wide, 25” circumference (11” wide, 52” circumference). Yarn: approximately 500-550 yards sport-weight yarn. I used Blue Moon Fiber Arts Silky Victoria, colorways Help Us, Rhonda (pink, single loop) and Enchanted Forest (green, double loop). Needles: US6/4mm needle for flat knitting, or size needed to get gauge.